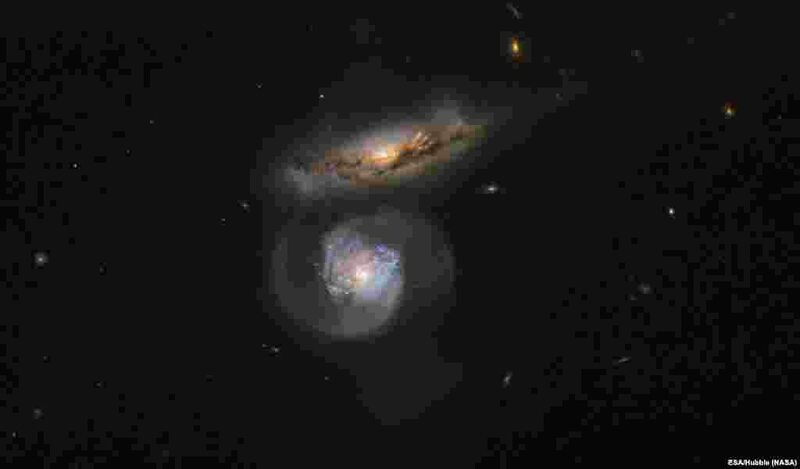 ١ The galaxy named MCG+01-38-005 (the lower, blue-tinted one) is a special kind of megamaser and its active galactic nucleus pumps out huge amounts of energy, which stimulates clouds of surrounding water. 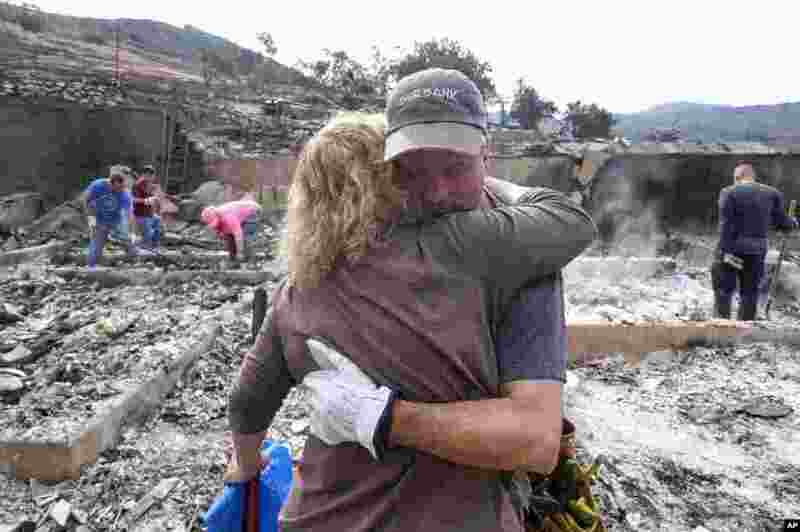 ٢ Craig Bolleson hugs his friend in his burned out home in the Sunland-Tujunga section of Los Angeles, California. Wildfires forced thousands to flee their homes across the U.S. West during a sweltering, smoke-shrouded holiday weekend of record heat. 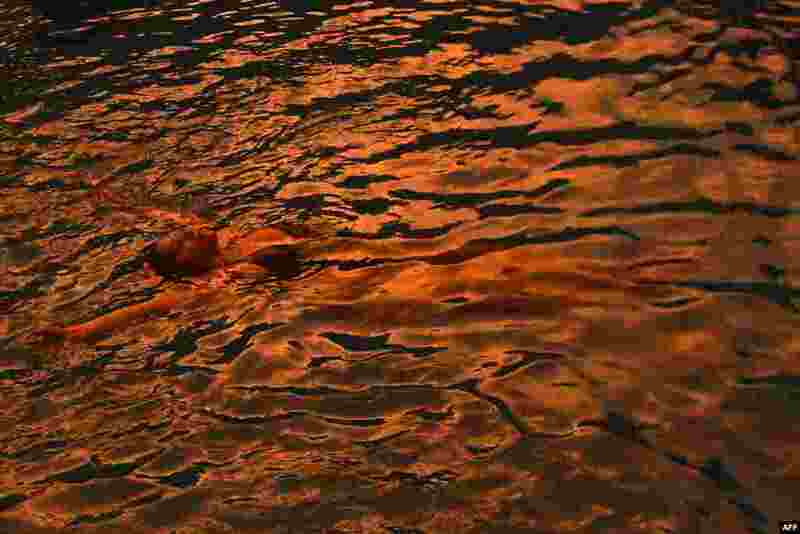 ٣ A woman cools off in a swimming pool during the last rays of sunlight in San Jose Villanueva, 25 km southwest of San Salvador, El Salvado, Sept. 3, 2017. 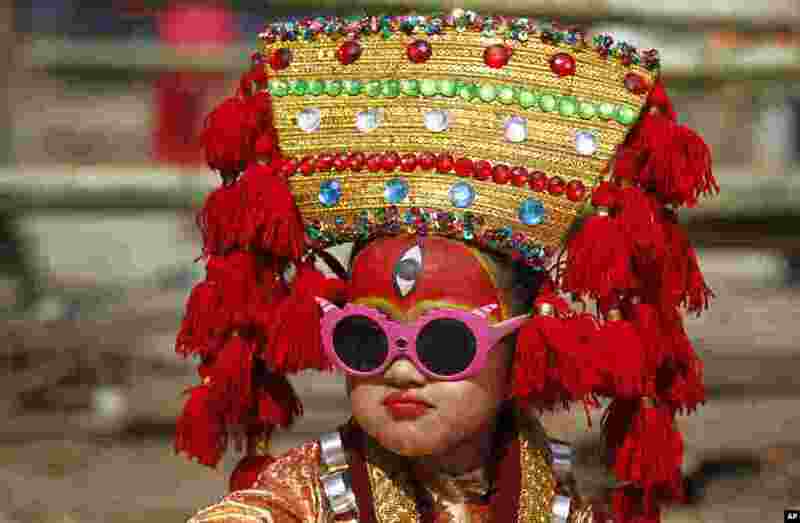 ٤ A Nepalese girl dressed as living goddess Kumari waits for Kumari Puja at Hanuman Dhoka, Basantapur Durbar Square in Kathmandu.